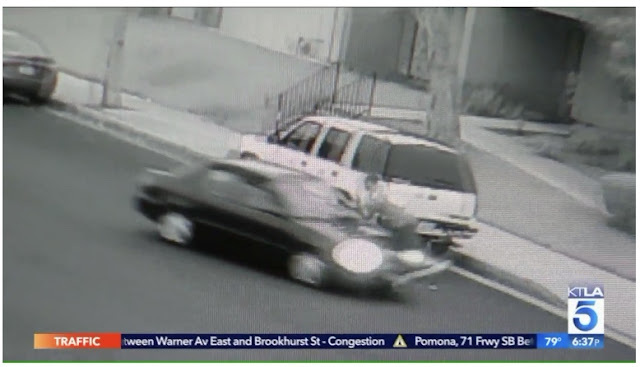 Authorities are working to identify a man seen on surveillance video attacking a disabled veteran with his car earlier this week in Gardena, allegedly because the veteran had asked him to pick up trash he threw in the street. Joshua Byrd, who served two tours in Iraq with the U.S. Army, said he was walking his service dog outside the business complex where he works on the 13000 block of Cimarron Avenue around 6:30 a.m. Monday when he noticed the driver discard garbage from his window. Byrd said he asked the motorist to pick it up but he didn't respond, so he picked it up and put it on the hood of the man's car. The driver lingered in the area, and a couple minutes later took the trash off his car and threw it back into the street. Then, he began cussing at Byrd and driving in circles in front of him, the veteran said. Suicide Prevention Month...awareness of how to prevent them! Tomorrow starts Suicide Prevention Month, but in this video, I used "awareness" instead for a reason. We are about to be seeing even more groups on TV and in the news papers, plus online for weeks! The awareness that needs to be raised is that the one thing that is needed is to be given back some hope and know they matter. Read down to the bottom and see what you can do to change the conversation too! 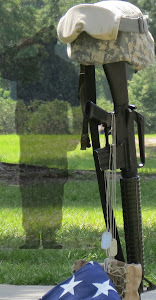 Yesterday my friend Dave Matthews and I went to the Vietnam Memorial park across from Lake Baldwin VA to do a video. Well, actually 2 of them. One was for PTSD Patrol and the other was for his radio show. Yep, multitasking again! Anyway, sure enough we got into another argument on the need to stop raising awareness on the "22 a day" stunts. This has been going on between us for a long time. During the video, Dave dropped down and did 22 push-ups. I called him an idiot! We had just talked about the fact that no one knows how many veterans are committing suicide and that the gossip was doing more harm than good. It is not helpful at all. 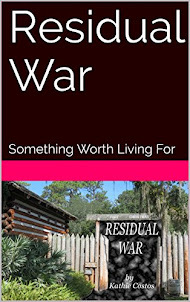 What it does is rip the last glimmer of hope from a veteran on the verge of losing their last battle to survive. It turned out that he challenged me to come up with something else to do after I could not get that number out of his head. Well now you know how hard it is to get that number out of heads! While some things are in the video, here are more thoughts this video spawned. Take 22 friends and go to a homeless veterans shelter to help them for a day. 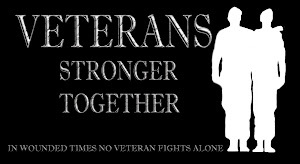 Take 22 friends and go to a VA hospital or clinic and thank the people working there as well as the veterans walking in. Take 22 friends and write positive things about veterans. Take 22 friends and visit veterans in nursing homes. Take 22 friends and write cards to veterans in your area. Take 22 friends and make gifts for veterans. Take 22 friends and make phone calls to your local elected officials to correct a lot of the stuff they got wrong. 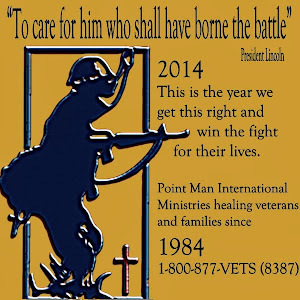 Take 22 friends and volunteer at one of the veterans organizations that take care of all generations of veterans. 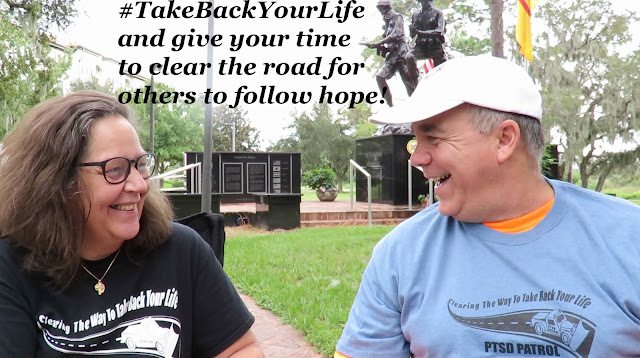 The only way veterans will #CombatPTSD and hear they can #TakeBackYourLife is if you show up and show you care. What she also didn’t expect is having to prove she was alive when she came back. ASHEVILLE, N.C. (WLOS) — A Candler veteran who was trying to get medical treatment through Veterans Affairs found out the agency has declared her dead. "I said, 'I look pretty well preserved for being dead for 26 years,'" Judith Herren, an Iraq War veteran, said. 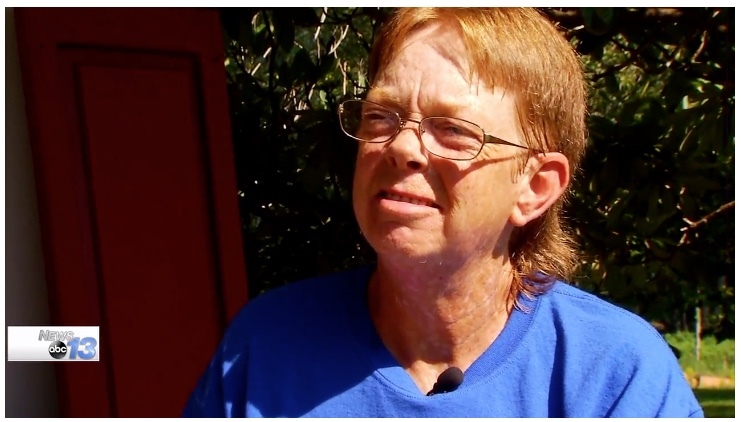 Herren said the problem started back in November when she decided to consider getting treatment at Charles George Veterans Affairs Medical Center in Asheville. "They couldn't process anything because I was listed as ‘deceased’ in September of 1991," Herren said. Herren served in the military for eight years -- four in the Army and four in the National Guard, where she found herself in Iraq. "We were the first units in Desert Shield and Desert Storm, and we really didn’t know what to expect," Herren said. 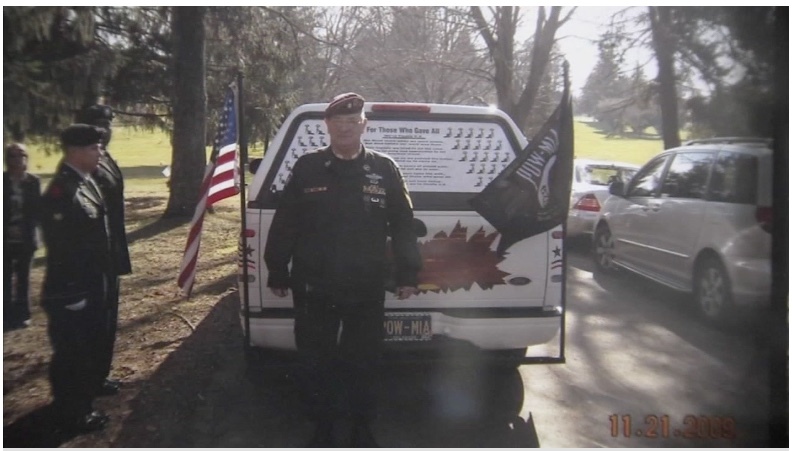 Vietnam Veteran with PTSD back in court as Judge! CORPUS CHRISTI – A very different Judge Guy Williams was back in his chambers at the 148th District Court on Wednesday. Williams recently finished six weeks of treatment for post traumatic stress disorder at Warrior’s Heart in Bandera, a facility specifically for veterans. The judge, who won a Purple Heart during the Vietnam War, says he’s battled PTSD since his discharge from the Marine Corps in 1970. PTSD continued plaguing Williams during his career with the Naval Criminal Investigative Service. He said he hid the problem from co-workers by working 80 hours a week. “I never got treatment, because I knew once I got treatment somebody would get the medical records and my career would be gone,” said Williams. Marine Reservist pleaded guilty to killing puppy! ST. LOUIS • A woman from St. Louis pleaded guilty to a felony animal cruelty charge in federal court Tuesday and admitted abusing and drowning a puppy on a U.S. Marine Corps base in California. Brittney Shanae Dyson admitted dunking Bella in a bucket of water, bleach and Pine-Sol cleaner on June 16, 2016, in a house on Camp Pendleton in Oceanside. The Dachshund-terrier mix was about 6 months old and weighed less than 20 pounds, Dyson’s plea says, and struggled frantically, clawing at the sides of the bucket. Why using "22 veteran suicides a day" is inaccurate and potentially harmful. 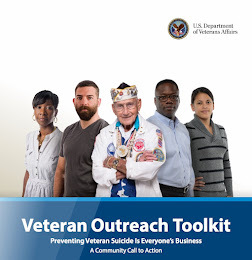 This summer the Department of Veterans Affairs released its second VA National Suicide Data Report. This report, again representing a joint effort between the VA, analysts, and researchers, assesses suicide data from 2005 to 2015. 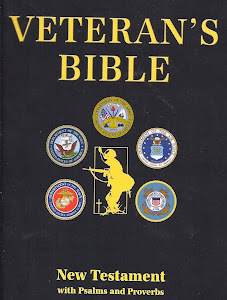 Its predecessor, released in 2012, gave rise to the widely held belief that 22 veterans a day die by suicide. This report adjusts that figure by two, establishing a number closer to 20 a day--a number which has reportedly remained constant from 2008-2015. Moreover, the report states that this number also includes active duty service members, National Guard, and Reservists. 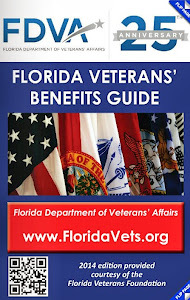 This report farther breaks down that number into those using VA-provided care (six per day), Veterans not utilizing VA services (11 a day), and those currently on active duty, National Guard, and/or in the Reserves (four a day). Perhaps, most importantly, it contains information on ethnicity, era of service, and age group comparisons. Meaghan Mobbs, M.A. is a West Point graduate, Afghanistan Veteran, and former Army Captain who is currently an advanced Clinical Psychology doctoral student at Columbia University, Teachers College. Mobbs is also a David O’Connor Fellow, Tillman Military Scholar, and a Noble Argus and National Military Family Association Scholarship recipient. Fighting against all the "awareness raisers" running around the country has been one of the worst experiences of my life. Friends, or people I thought were my friends, ended up defending these people and dismissing everything I tried to get them to understand. Do you think this has been fun for me? Do you think it has been a good way to spend my time? It has done more damage to my outlook on life considering it must have been the same when rational people were trying to get fools to stop believing the world was flat! 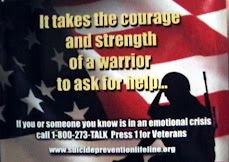 If you are passing along the "22" or "20" a day referring to veterans committing suicide, shame on you! If you are making money to "raise awareness" about something you have no clue about, there is no excuse for you to continue. We now know the VA and the CDC do not even know how many veterans are committing suicide while far too many are committing suicide in PUBLIC~! Advocates are freaking out because the only voice in getting into veterans' heads is they are just a number! I had to do this to be able to do the PTSD Patrol video. After yet another suicide at a VA in Indiana, I could not get out of a really lousy mood until I did this. Last night I had yet another one of those conversations where I was told "I'm just sticking with the 22 a day crowd because that is the number everyone knows." It did not matter how many times I have proven that this claim is doing more harm than good, and isn't even factual, it was dismissed. Worse was when I had people I know call me a liar. Well, this morning what I've been saying for years received vindication from someone with the credentials to add to the seriousness of what has actually been going on. When I read the healine, The VA Releases Second National Suicide Data Report" I was getting ready to slam it, since that report came out in June. A second later I read the sub-headline and the hairs on the back of my neck stood up! Meaghan lists the fact that the majority of the known suicides are in fact veterans over the age of 50. 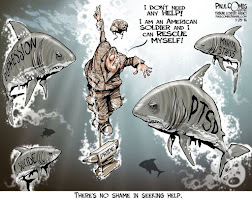 "The higher suicide rate among younger service members and veterans (age 18-34) is concerning and harder to understand. A commonly used key demographic bracket (18-34) in research, the belief is that those that fall within that cohort share similar experiences or characteristics. However, for anyone that has spent time in the military, the experience of an 18 year old on his or her first tour of duty is vastly different from a 32 year old, non-commissioned officer, with multiple deployments who has transitioned out. Unfortunately, the report does not shed more light on where the burden is most significant in that population." This came after over a decade of the military doing "resilience training" which basically told the service members they could "train their brains to be mentally strong" and in other words, they heard, they were mentally weak if they ended up with PTSD. Then you also had the fact that over 300,000 were kicked out instead of being helped. All you have to do is read the reports from the DOD on suicides within the military to know this training does not work! The average since 2012 has been 500 a year. Here are some more points that you need to consider from this article since you have no believe me! "So outside of the obvious pitfalls of using an inaccurate number to capture a phenomenon that may not actually be a phenomenon across time and space, it is also worth considering that the continued emphasis on awareness and attention to veteran suicide may be contributing to it. A cursory search of the hashtag #22aday or #22kill nets hundreds of thousands of results. The most recent posting? Three hours ago, with the top results being videos of people doing push-ups to raise awareness. Even more disheartening, if you are to search the hashtag #suicide, a pop-up appears with a warning and offer of help." For this part, consider this. If you lost all hope, would learning about more who decided one more day was not worth being here for, do you any good to want to stay? "Furthermore, there is a strong body of evidence to suggest that suicide is contagious. People who complete suicide are already vulnerable for a whole host of reasons, and publicity around another suicide appears to make a difference. This suggests that one death can set off others." Yet when you hear that there is something to hope for, getting the right information and help to heal, is there, then you have hope! 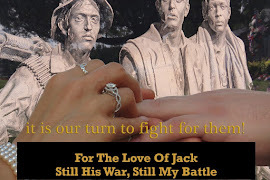 When you discover that the lives of veterans meant so little to the people raising awareness, they did not bother to research anything, it is like a dagger into your already wounded heart. "While researchers and mental health professionals may be missing pieces of the puzzle, we can all act to combat the existing narrative and drive dialogue around military and veteran suicide. The 22-a-day belief is damaging and contributes to the "broken vet" stereotype." She is yet again, totally right on that too. You are not broken! You are not weak! 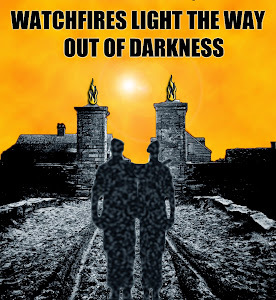 Nothing is hopeless and neither are you as long as you #CombatPTSD and #TakeBackYourLife as a survivor! If your really want to do something to prevent more veterans from taking their own lives, I urge you to read the rest of this article and the next time you read something about "raising awareness" remember this part from the article. She ran into the same nonsense I have all these years! "Personal efforts made to provide information to veteran businesses referring to and using "22 a day," have been met with astonishing responses. From “it’s recognizable,” to “its part of our brand,” to changing it “will detract from our message,” are all actual conversations I’ve had. It seems possible that the monetization and adoption of an incorrect suicide statistic for gain, whether it’s "likes," dollars, attention, or appealing to donors, is happening." Glad this article came out at the end of August since next month the articles will be all over the country as more and more reports have to do their quote of feel good stories and will once more allow these people to simply gain support for a number that is a flat out lie! Yes, September is Suicide Awareness Month and now you know a lot more than the people asking for your support will ever learn! "Some of the dogs were used in the training program, which targeted military veterans. 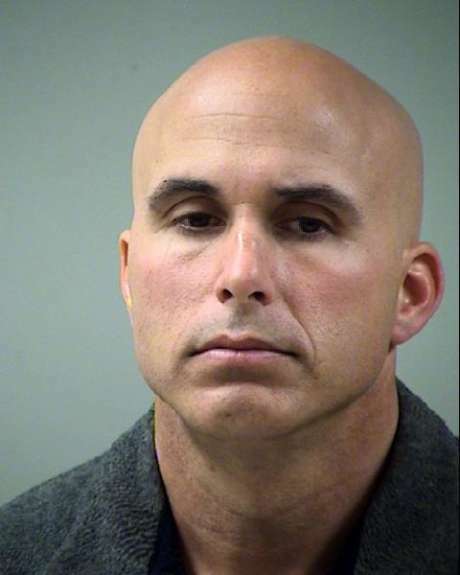 The indictment said Universal offered two courses: the K-9 handler dual-purpose detection program for $6,500 and a trainer/instructor program that charged $12,500." "Whoa, whoa, whoa, you can't come through here right now, we got a funeral going on. I said I know, I got him in the back," says Elliott. 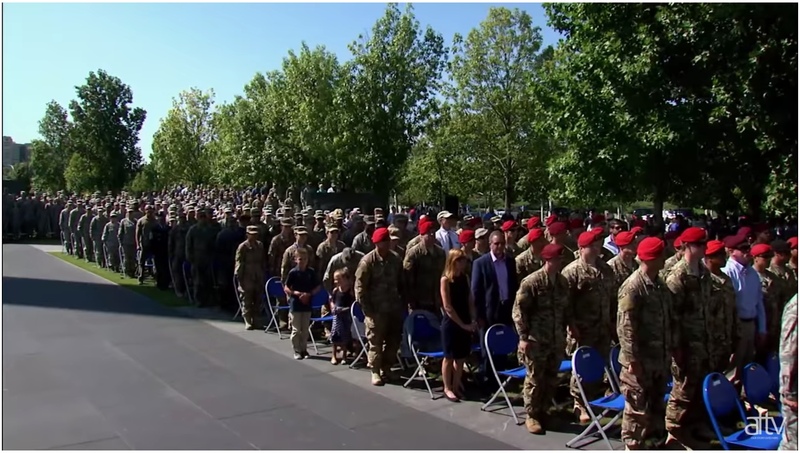 The boots polished to a high shine, and the rifles and helmets in a fallen soldier tribute, have accompanied many service members on the journey to their final resting place, in the bed of Ron Elliott's truck. "I transport the casket in here and I deliver them down at the cemeteries," says Elliott. It's obvious that this isn't just any old pickup truck. The sides of the truck are covered with names. "They're all Delaware Veterans, who died in each war," Elliott says. 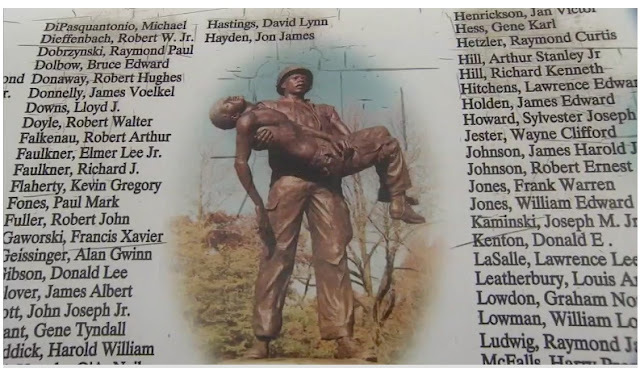 Names from World War II to the Vietnam War. Ron fought in Vietnam, where he lost many friends. He hasn't forgotten them, and he doesn't want anyone else to forget them either. A U.S. Army soldier was among four people killed when a plane carrying a group of skydivers crashed at a Georgia airport on Saturday, officials said. The crash happened around 2 p.m. at the East Georgia Regional Airport in Swainsboro, located about 90 miles southeast of Macon, FOX54 reported. 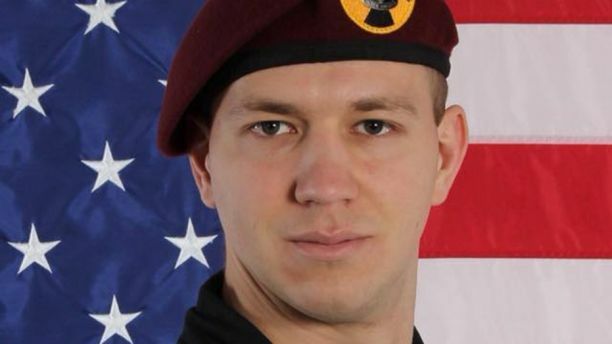 Aliaksandr "Slex" Bahrytsevich, 31, was off-duty when he died, but served most recently as a demonstrator on the Golden Knights Black Demonstration Team, the post said. 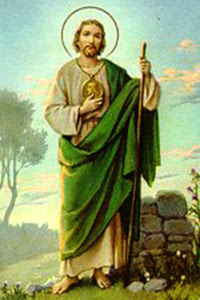 He is survived by his mother, Nattallia, and father, Mikhail. ‘I am fully aware I am at a crisis point. No-one knows myself better than I do. But I am dealing with it. I love my three girls more than life itself. I have also made the decision to go into a proper therapy programme in the next few weeks, but it has to be in the UK because I am very, very British and I know that will work best for me.’ ‘I am still struggling,’ she continued, ‘but if I can shine a light on the issue of pain, PTSD and the things men and women do to mask it, I will do. I am speaking about this because this is a huge issue for so many people. 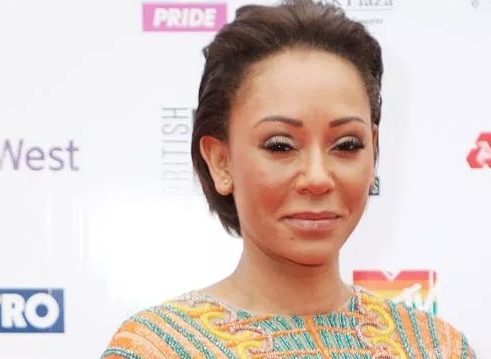 The former Spice Girl and mother of three is planning to enter a British facility in the next few weeks to get help after being diagnosed with Post-Traumatic Stress Disorder (PTSD) and admitting to drinking heavily following a turbulent period in her life, including the death of her father Martin Brown and her split and subsequent messy divorce battle from Stephen Belafonte, who she accused of being abusive. ‘The past six months have been incredibly difficult for me,’ she said. Combat Nurse told she cannot use service in Fallujah and Afghanistan? ...State Rep. Sean Morrison, R-Hampton, formed the Veterans Caucus in the New Hampshire Legislature after joining the Army National Guard at 30 and making combat deployments to Iraq. "The 'combat proven' thing seemed to me to be close to stolen valor," said Morrison, who is supporting state Rep. and Air Force veteran Steve Negron of Nashua in the GOP primary. 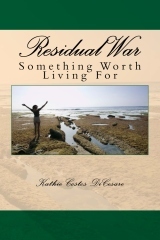 "That means you were in direct combat with the enemy and you acted appropriately. I don't think anyone should be separating and holding themselves up on a pedestal as veterans." A clearly upset Blankenbeker said Friday that Morrison and others who share his views should be "ashamed of themselves." "I was a combat nurse in a combat hospital in a combat zone caring for combat casualties while the hospital took on an average of 18 mortar attacks in a given day," Blankenbeker said of her time in Afghanistan's violent Kandahar province during 2010-11. Dan Helmer is the vice chairman of VoteVets, another liberal group supporting veteran candidates. 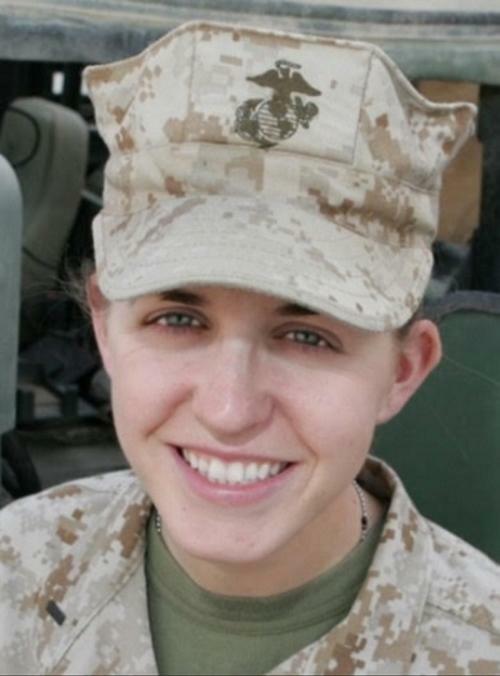 "Maura Sullivan served in Fallujah, Iraq, an incredibly dangerous area of operations where numerous Marines died, including female service members," Helmer said. "Women in combat zones often don't get the recognition they deserve and we're shocked that anyone would call into question the sacrifices Maura and other female leaders made for our country." Blankenbeker remembers when the Afghan terrorist threat came into her Kandahar hospital treatment room. 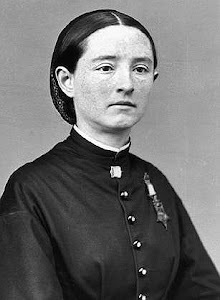 "I cared for a woman; she was an Afghan patient. I was cutting her clothes off in a combat zone and she had a wire harness on her for an explosive," Blankenbeker said. 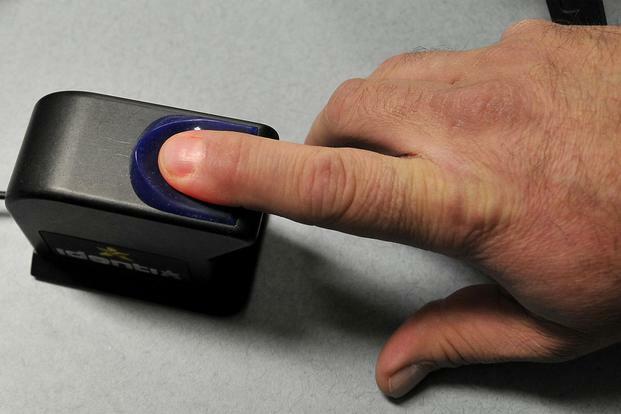 "I had to hold that explosive device in my hand until we could get her sedated on morphine. Is that combat proven?" Ok, no filling up this post with links or pictures. No rants, like I've been doing lately. Just one, simple, pure thought. You have no idea what can happen when you need help, until you ask for it. Would you help your buddies? Veteran Burlington firefighter Phil Hall opens up in this news segment about his struggle with PTSD after 18 years of witnessing difficult incidents. John McCain “He passed the way he lived, on his own terms"
“He was a great fire who burned bright, and we lived in his light and warmth for so very long,” she wrote. “We know that his flame lives on, in each of us. The wife and daughter of Sen. John McCain (R-Ariz.) wrote heartbreaking tributes to the lawmaker hours after his death on Saturday. Cindy McCain, the senator’s wife of 38 years, expressed her grief on Twitter. 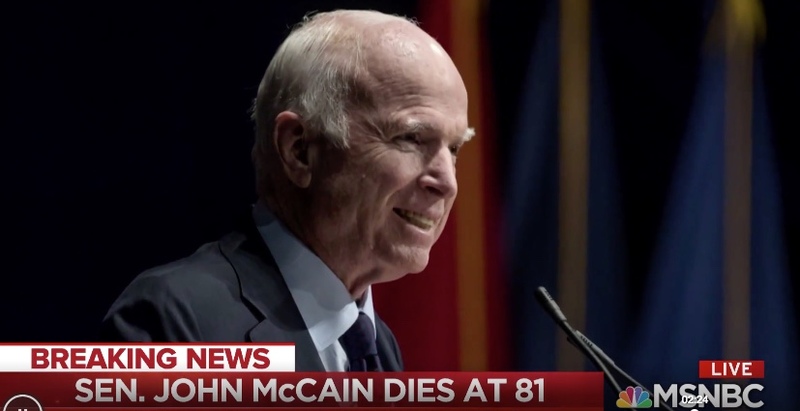 Meghan McCain, the senator’s 33-year-old daughter, wrote an emotional statement thanking her father for being a hero to both her and the country. 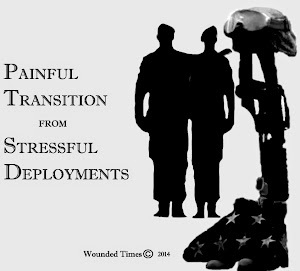 PTSD Patrol: Your buddies are your shock absorbers? When we got the idea to turn PTSD Patrol into something related to vehicles, it was odd, to say the least. Once explained that people understand the vehicle they drive a lot more than the vehicle they live in, it only made sense to do it this way. There are a lot of automotive parts that can be used to explain the vehicle you live in. Your body is your ride and we are all different but the stuff that makes it work can be linked to the stuff that goes into the vehicle you drive. 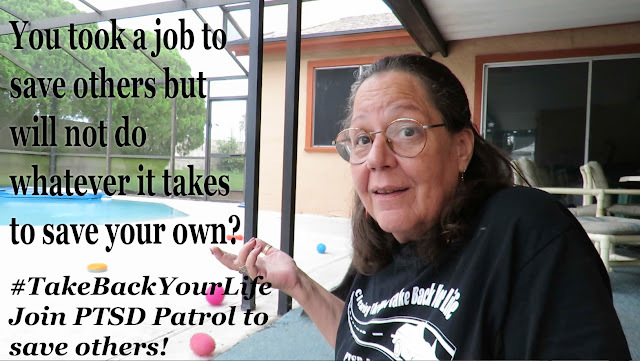 If you took a job to save others, you took on a lot more than most people have to deal with on a daily basis. 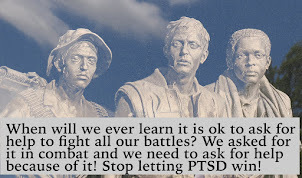 That is why there are over 7 million citizens with PTSD, and you helped most of them survive. 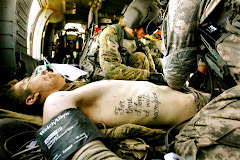 If lives of strangers meant that much to you, then don't you think they matter to those you serve with? Ok, then why don't you get that your buddies would want to save you too? Jack Otto is making people cry, making them smile -- making them feel. 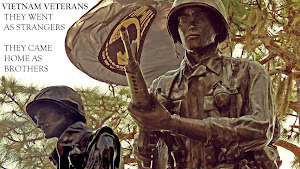 His incredibly detailed artwork salutes all who served our country in the Vietnam War. 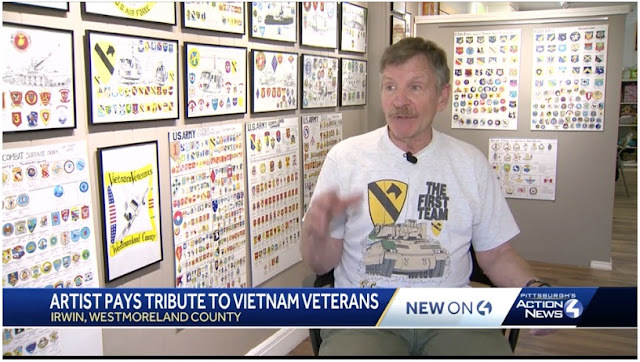 Through art, the 74-year-old veteran from Hempfield Township pays tribute to every unit and every division that served in Vietnam. "It became a labor of love, and second of all, it became somewhat of a therapy for me," Otto said. "I was involved in many of the units in one way or other." 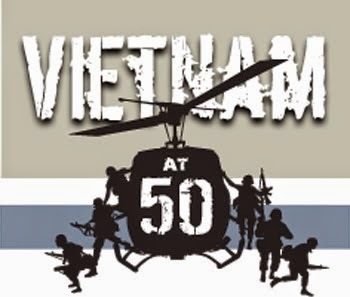 Otto was a military policeman in the U.S. Army who survived the Tet Offensive in 1968. He hopes that his art will help veterans and their families to heal. Tracy Alaia, owner of Feathers Artist Market and Gifts in Irwin, invited Otto to display his patriotic artwork. It means so much to everyone who sees it. 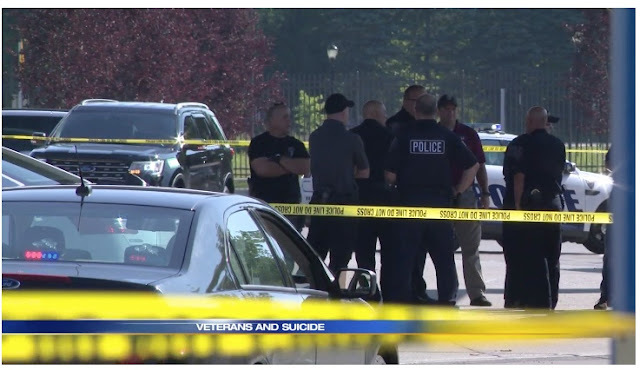 A veteran shot himself yesterday in the parking lot of the VA Health Care Center in Mishawaka -- dead from an apparent suicide. We often don't report suicide, but this is not about drawing attention to an individual. Rather, we are hoping to raise awareness and help people who are struggling. This is an issue that impacts people and families every day. 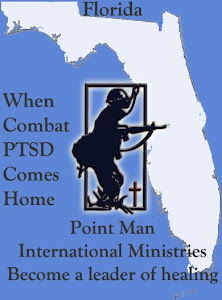 The rest of the report is good and they interviewed a Vietnam veteran offering hope in the battle against PTSD. The problem is, what they got wrong to start off the report. Yet again, reporters repeated the number "22" and yet again, we have to endure yet another shameful reminder that another veteran was failed. Failed by all of us because reporters did not care enough to investigate anything for real. Well, it turns out that while they keep repeating "22 veterans a day commit suicide" the fact is, no one knows how many and we proved it! The VA says they used CDC data but even the CDC does not know how many Americans have committed suicide! Yes, that is right. They are missing data from 10 states. 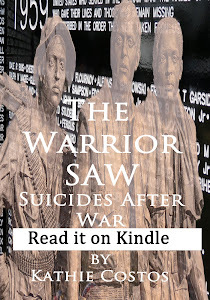 NO ONE KNOWS HOW MANY MORE VETERANS HAVE COMMITTED SUICIDE! Add this one to the following public suicides! How much louder to they have to scream? 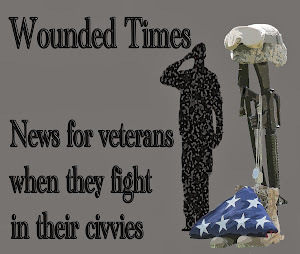 Last year veterans were facing off with law enforcement almost every week, maybe even more, but while these reports should have been national news, they were ignored. Oh well, it is just so much easier to just use a number as if that is supposed to make any difference to the men and women screaming for help to stay alive. Vietnam veteran committed suicide in Sheridan Police Department Parking lot after calling dispatch to let them know where he was. Air Force Veteran dead after police were called to help him. 76 year old Vietnam veteran committed suicide in Boynton City Hal parking lot. Not first time this happened. It happened last year in Amarillo Texas when a veteran shot himself in front of the VA hospital. 21 year old Private committed public suicide at Clarksville High School after he stole a gun. 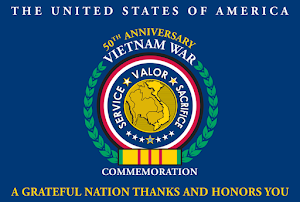 Vietnam veteran committed suicide at in the VA emergency room. Navy Veteran set himself on fire in front of Georgia Capitol protesting the VA system. Not first time this happened. It also happened in New Jersey last year. Sailor walked into helicopter blade, death ruled suicide. Air Force veteran shot family, and himself after setting house on fire. Not the first times since it happened last year when a 33 year old veteran shot himself at the VA.
Those are just from the reports I found in the last hour. 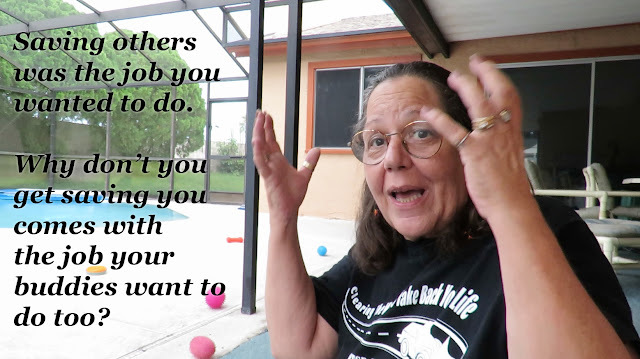 Could not get all this out of my head, so if you do not like it when I explode, do not watch this video! Medal of Honor recipient and Air Force Special Tactics Combat Controller Tech. Sgt. 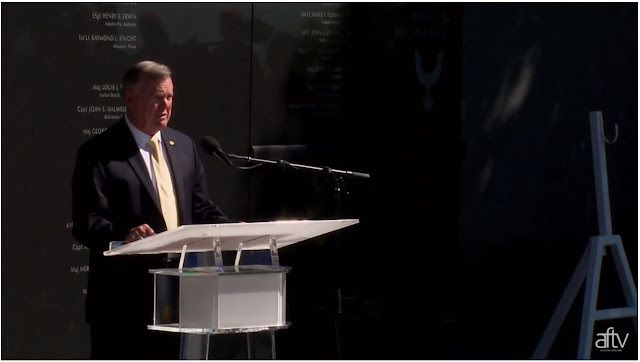 John A. Chapman's name is unveiled on the Air Force Memorial Honor Wall, August 24, 2018 at 10:00am. Chapman's widow, Valerie Nessel, was presented the medal by President Donald J. Trump during a White House ceremony, August 22, 2018, in recognition of Chapman's "conspicuous gallantry and intrepidity at the risk of life above and beyond the call of duty." Chapman was the 19th Airman to be awarded the Medal of Honor since the Department of the Air Force was established in 1947, and the first Airman recognized with the medal for heroic actions occurring after the Vietnam War. He was also the first Special Tactics Airman to receive the medal. The Medal of Honor is the highest award for heroism in military action that the Nation can bestow on a member of its Armed Forces. Stolen Valor--giving fakes the attention they did not want! They called the police on these guys and that is the best way to stop them! 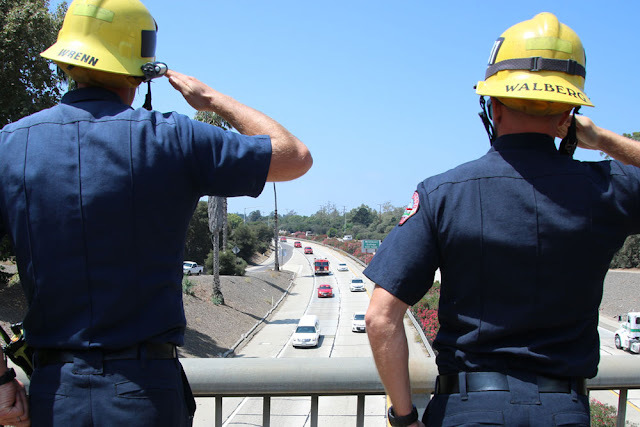 Los Angeles County fire captain Wayne Habell will be buried at the Santa Barbara Cemetery on Monday afternoon following a funeral two days earlier at a Camarillo church. 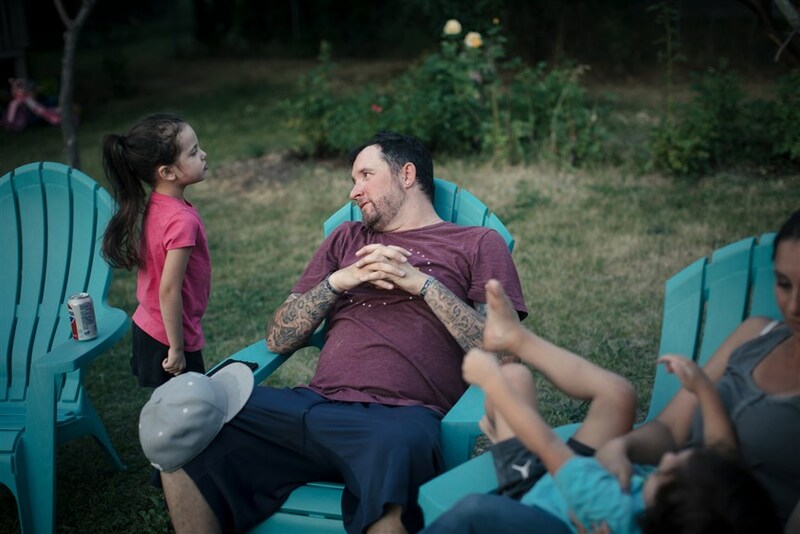 Habell, 43, died earlier this month of a self-inflicted gunshot wound. His body was found Aug. 18 in Hot Springs Canyon above Montecito after he had been missing for several days. He was last seen Aug. 13 leaving his home in Newhall headed to a gym in Stevenson Ranch. On Aug. 17, his vehicle was found parked near the trailhead on East Mountain Drive. Habell had served the agency for 13 years, according to the Los Angeles County Firefighters IAFF Local 1014.